As the North American session comes to an end, the AUD is the strongest. The GBP is the weakest. The USD is mixed/little changed. Overall, the major currencies are bunched together with the biggest mover, the GBPAUD, has moved 0.47%. 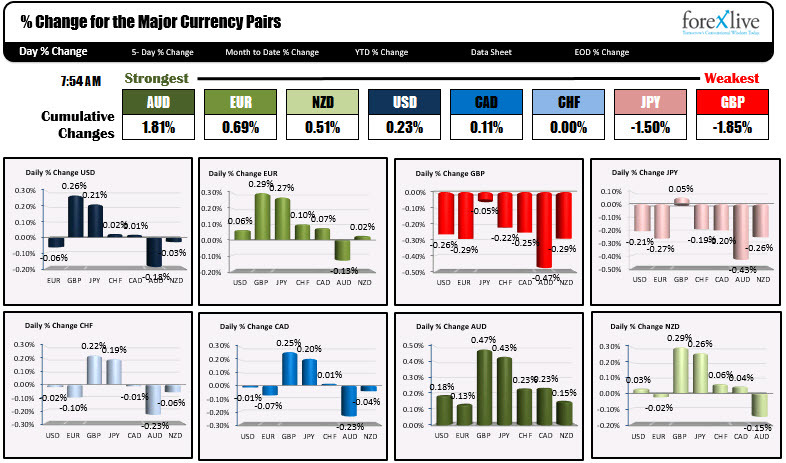 For the USD, the EUR, CHF, CAD and NZD have moved 0.06% or less. Looking at the changes and ranges, generally speaking the major pairs are showing the lack of movement. 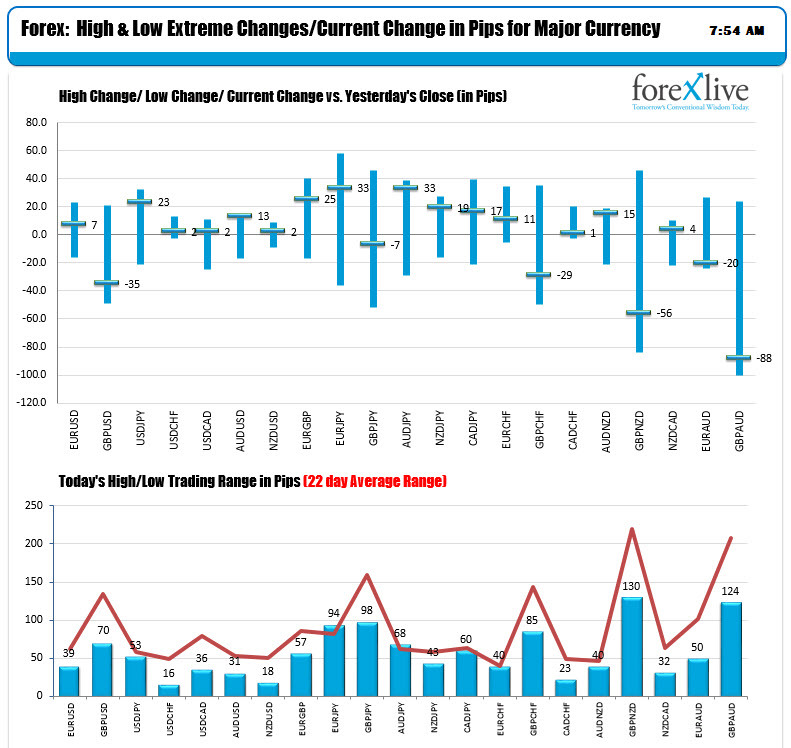 Some of the JPY pairs have seen larger ranges and near the highs, but saw down and up activity. Traders are trying to find a rhythm for the week.